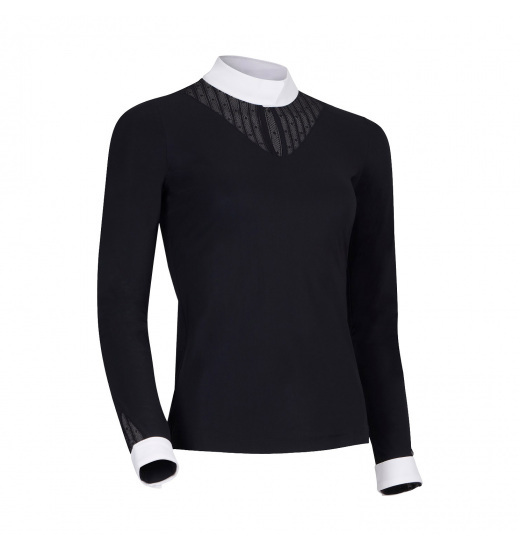 Eye-catching ladies' show shirt with long sleeves. 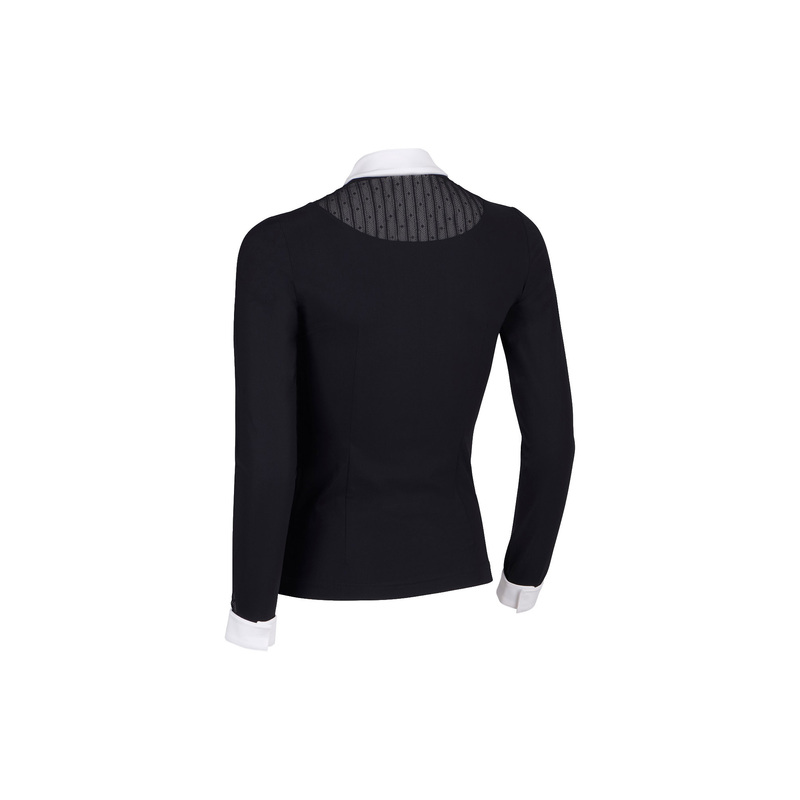 It is made of the highest-quality elastic material that provides full freedom of movements and comfort. 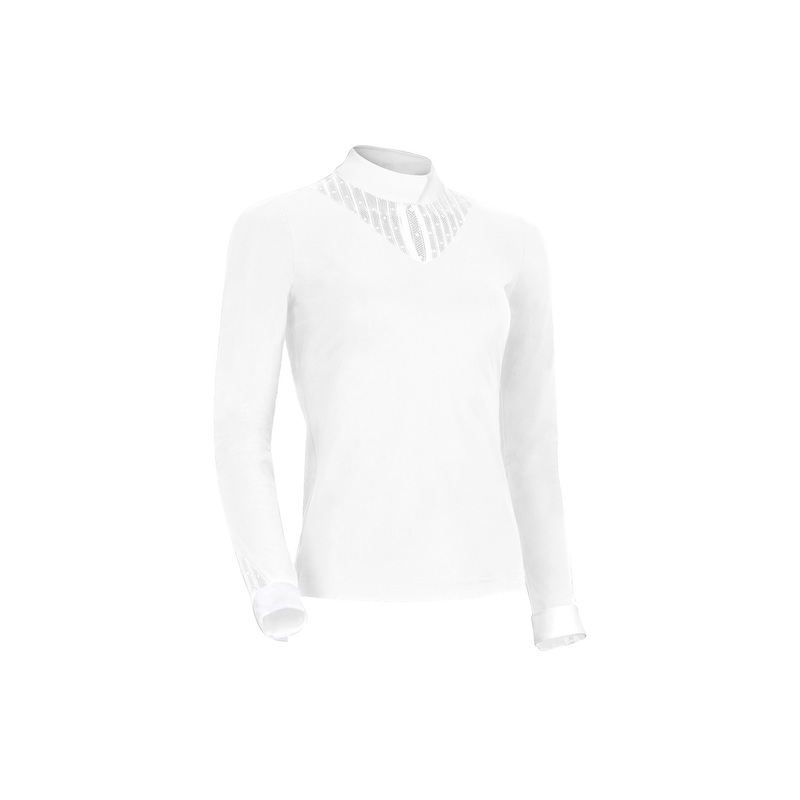 Lace in the neckline makes this shirt look elegant. 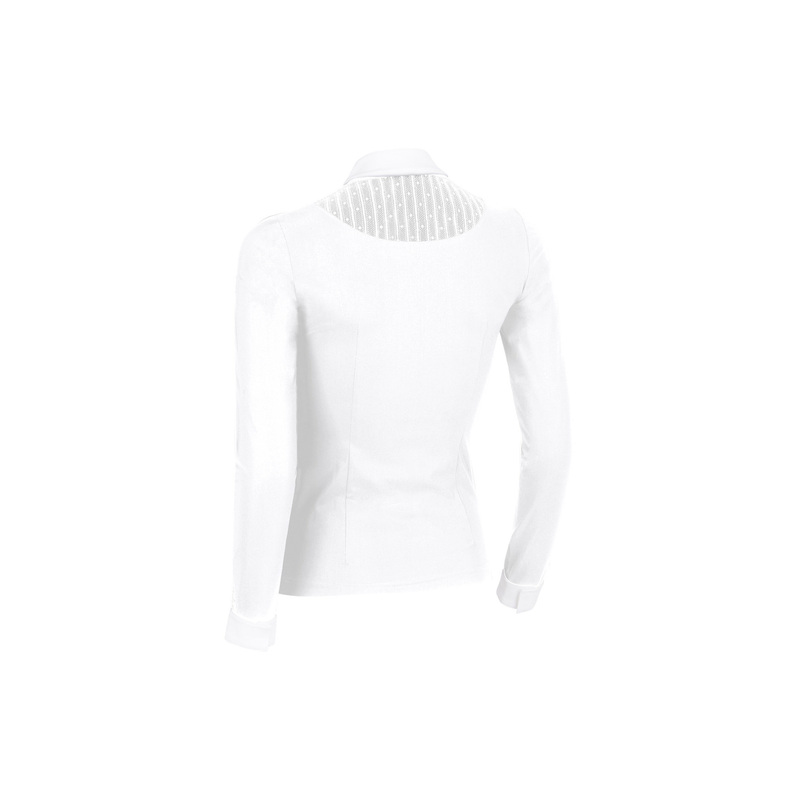 Its fabric protects against UV radiation. 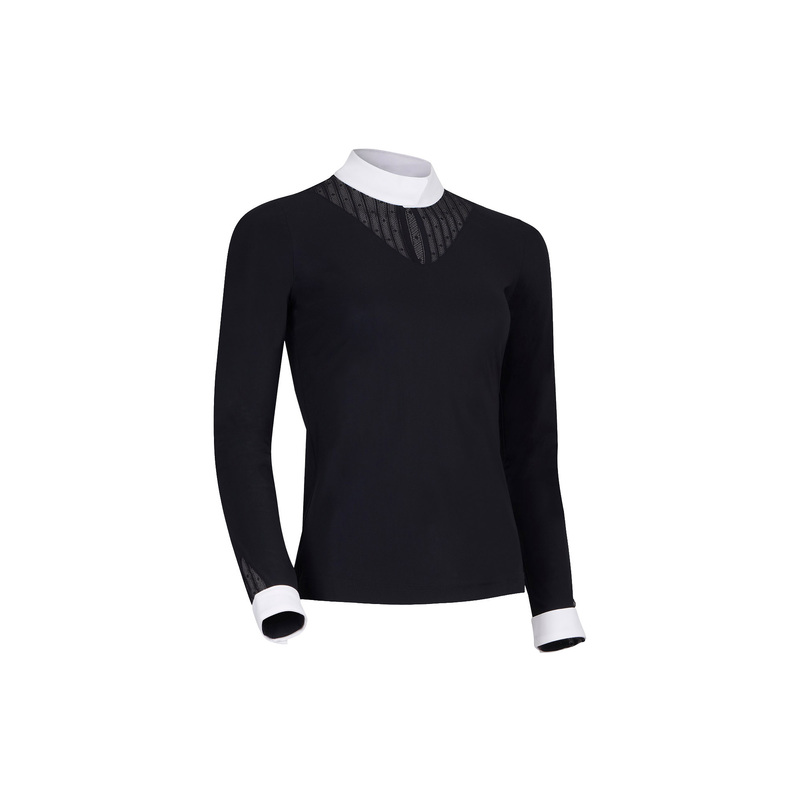 This shirt is decorated with a Samshield logo made from Swarovski crystals.